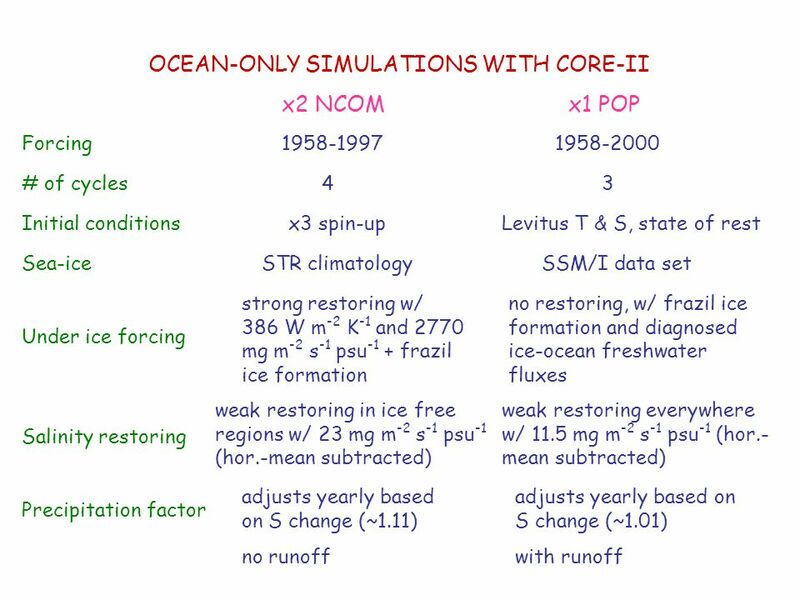 OCEAN-ONLY SIMULATIONS WITH CORE-II x2 NCOMx1 POP Forcing1958-19971958-2000 # of cycles43 Initial conditionsx3 spin-upLevitus T & S, state of rest Sea-iceSTR. 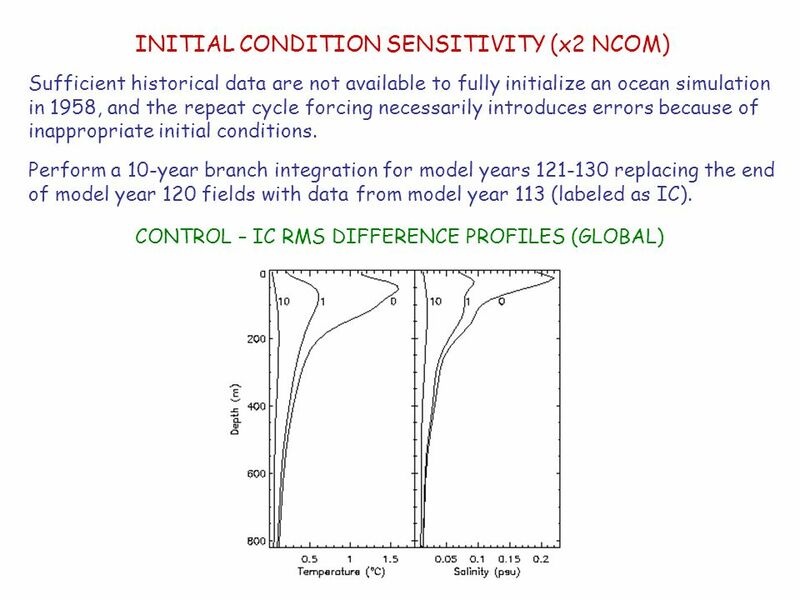 Download ppt "OCEAN-ONLY SIMULATIONS WITH CORE-II x2 NCOMx1 POP Forcing1958-19971958-2000 # of cycles43 Initial conditionsx3 spin-upLevitus T & S, state of rest Sea-iceSTR." Considering Climate Variability & Change TOGETHER Lisa Goddard International Research Institute for Climate & Society The Earth Institute of Columbia University. TROPICAL -- EXTRATROPICAL CONNECTIONS INCLUDING MARK A. CANE LAMONT-DOHERTY EARTH OBSERVATORY OF COLUMBIA UNIVERSITY PALISADES, NY PAUL GOODMAN. 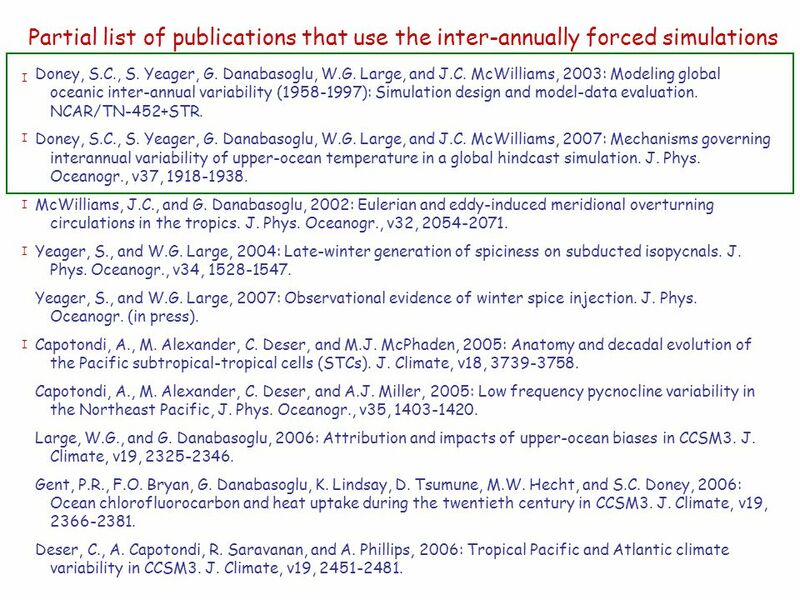 Modeling the MOC Ronald J Stouffer Geophysical Fluid Dynamics Laboratory NOAA The views described here are solely those of the presenter and not of GFDL/NOAA/DOC. © Crown copyright Met Office Decadal Climate Prediction Doug Smith, Nick Dunstone, Rosie Eade, Leon Hermanson, Adam Scaife. Slide 1 Predicting the Climate of Europe: the THOR project Laurent Mortier – University of Paris for Detlef Quadfasel (co-ordinator), University of Hamburg. 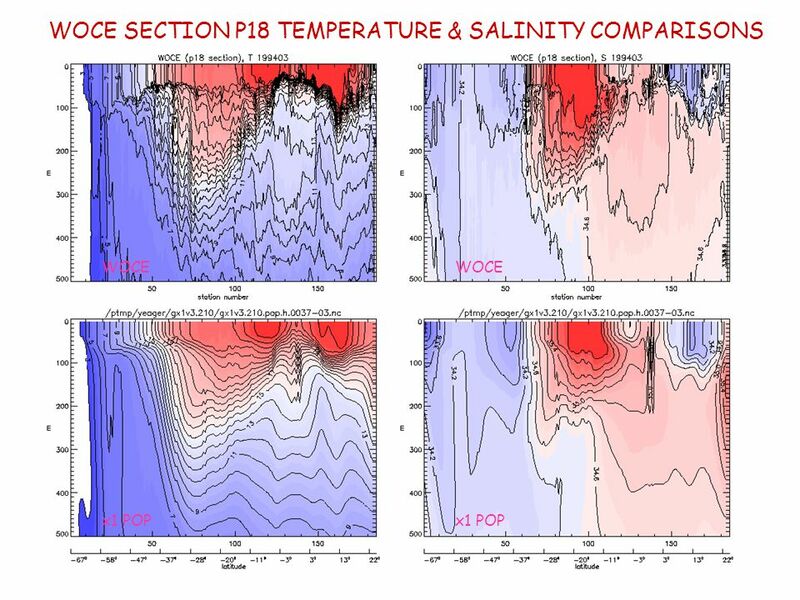 Preliminary results on Formation and variability of North Atlantic sea surface salinity maximum in a global GCM Tangdong Qu International Pacific Research. 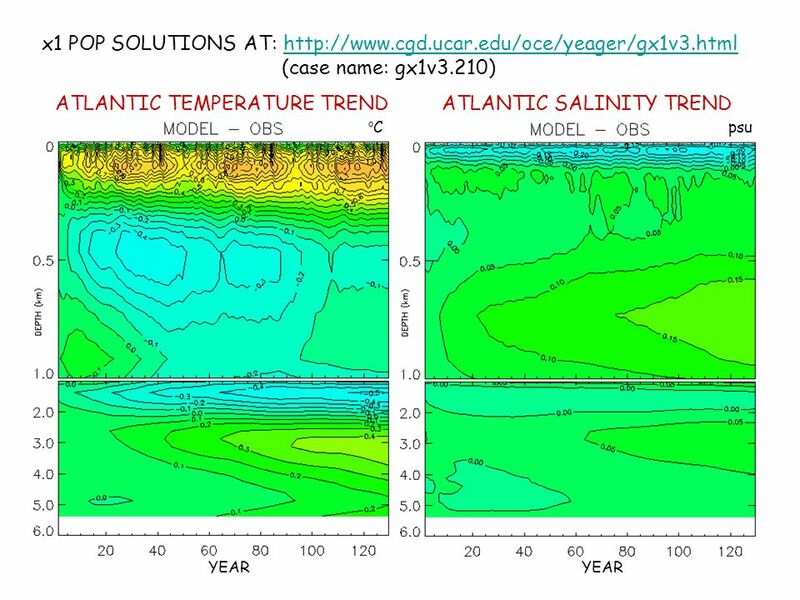 Ocean Prediction and Predictability with Focus on Atlantic Goal: Understanding ocean’s role in climate predictability from ISI to decadal scales using. 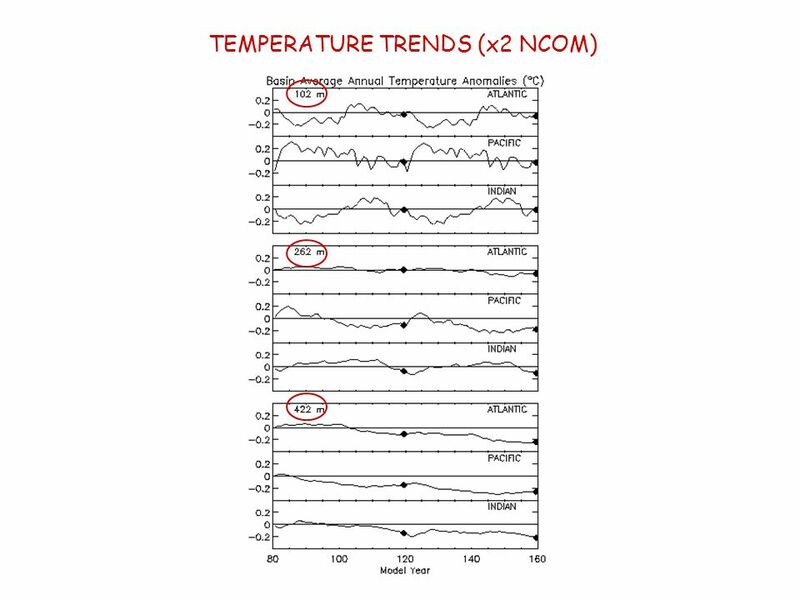 The Role of Internally Generated Megadroughts and External Solar Forcing in Long Term Pacific Climate Fluctuations Gerald A. Meehl NCAR. Ocean Heat Uptake Gregory C. Johnson 1,2, John M. Lyman 3,1, & Sarah G. Purkey 2,1 1 NOAA/Pacific Marine Environmental Laboratory, 2 University of Washington. Thermohaline Circulation (THC) By Ross Alter. What is it? “…that part of the ocean circulation which is driven by fluxes of heat and freshwater across. The dominant periodicities are the same as those from astronomical calculations of changes in the Earth’s orbital parameters. Ocean Response to Global Warming William Curry Woods Hole Oceanographic Institution Wallace Stegner Center March 3, 2006. Agulhas Leakage: The Neglected Player in the Variability of the Atlantic Meridional Overturning Circulation Arne Biastoch In collaboration with Claus Böning. Climate Change Projections of the Tasman Sea from an Ocean Eddy- resolving Model – the importance of eddies Richard Matear, Matt Chamberlain, Chaojiao. 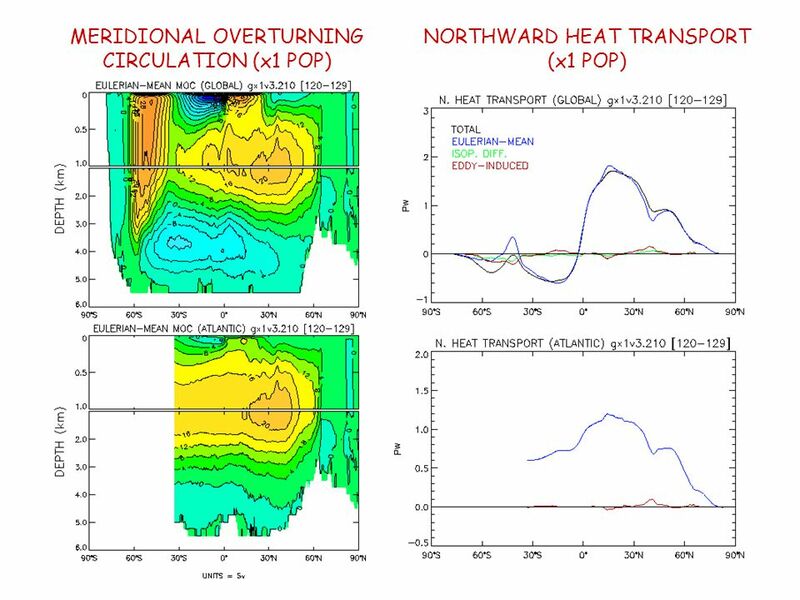 Climate Variability and Change in the U.S. GLOBEC Regions as Simulated by the IPCC Climate Models: Ecosystem Implications PIs: Antonietta Capotondi, University.